Bill Verhelle is back in the game with the launch of Innovation Finance, which will focus on delivering a dramatically improved customer experience to sophisticated corporate and non-profit borrowers. In an interview with Monitor, he discusses the five traits of excellent employers and the guiding principles of his business philosophy: trust, purpose and humility. In the two and a half years since he stepped down as CEO of First American Equipment Finance (FAEF), Verhelle had remained active — serving as chairman of the Equipment Finance and Leasing Foundation and founding Harvard Partners, a company that invests in financial firms employing new business models — but something was missing. “That night, I decided to explore the possibility of starting another new business, with the intent of developing a new business model in the commercial equipment finance marketplace,” Verhelle says. Verhelle established himself as an industry leader by taking an unconventional approach to designing FAEF, the independent finance company he launched in 1996, successfully led through the Great Recession and continued to lead for three years after its acquisition by City National Bank in 2012. “At the end of the day, happy, satisfied employees create happy, satisfied customers. I don’t think you can start talking about delighting your customers until you first figure out how to really connect in a sincere way with your employees. Creating a business with meaningful differentiation allowing for greater customer responsiveness is Verhelle’s ultimate goal. “It’s so important to have the ability to try new things and see how customers react and then make adjustments,” he says. “The business model you choose is so important to be able to execute and adapt. “We recognize that we haven’t accomplished anything yet. We have much hard work to do over a long period of time. With a little luck and a great deal of hard work, success is possible. It won’t be possible without the support of many partners in the U.S. equipment finance industry. And we are sincerely grateful for the encouragement we have received from our many friends the industry. Verhelle can’t do this alone. The cornerstone of Innovation Finance is its core team, which includes former FAEF colleagues Mark Tomaselli, Mike Ziegelmann and Nate Gibbons, who will serve as president, chief financial officer, and chief operating officer, respectively, and industry newcomer Kelly Armbruster, who leads marketing. “These are the type of people I believe have the potential to create something new and meaningful for equipment finance customers,” Verhelle says. “And they are all people I’m delighted to work closely with, day in and day out. Tomaselli, who served as chief information officer at FAEF, is playing a pivotal role in the development of the second cornerstone of the company — a proprietary customer application, built from scratch. When asked what sets an excellent employer apart from a mediocre one, Verhelle says it comes down to recognition, respect, organizational design, employee development and meaningful purpose. Verhelle says the purpose of an employer also can be a deciding factor in an employee’s level of engagement. “An excellent employer strives to accomplish something meaningful that is motivational to everyone involved. When people are given an opportunity to create something new and better, that’s always motivational and inspiring. So I think purpose is a part of it,” he says. Purpose also is a central theme of Verhelle’s business philosophy, as are trust and humility. “Successful companies are comprised of smart, inspired people working toward a common goal. It’s hard to be inspired, if your goal is to make 5% more for your shareholders than last year,” he says, adding it’s especially difficult if a company plans to reach that goal by reducing quality to squeeze out more profit. “Successful companies almost always have big, customer-focused goals. Young professionals want to do something meaningful with their talents. Set big, meaningful goals that will make the world a better place,” Verhelle suggests. Verhelle’s emphasis on humility is refreshing. “In the end, there is more luck involved in business success than we would like to admit,” he says. “Be humble and remember that success is never guaranteed. By recognizing the temporary nature of our successes, we are more open to the ideas of others and the marketplace changes going on around us. “We are starting a very small company, with a different approach, on a very small scale,” he says. “Many of our initial assumptions will prove to be wrong. If we are eventually successful in any material respect, we will have quickly adjusted following our failures in order to try again and again. RITA E. GARWOOD is managing editor of Monitor. 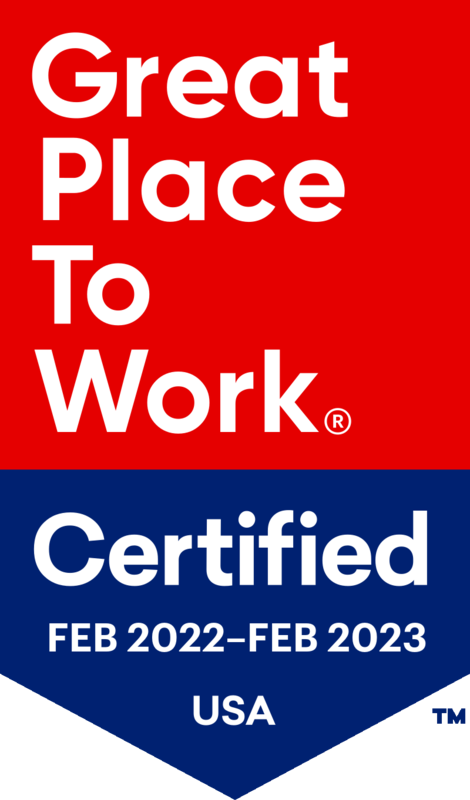 Innovation Finance receives Great Place to Work® Certification and maintains a 100% rating.